Germany's DFB GmbH cooperates with Fanatics! Home / German Football / Team Germany / Germany’s DFB GmbH cooperates with Fanatics! Germany’s DFB GmbH cooperates with Fanatics! 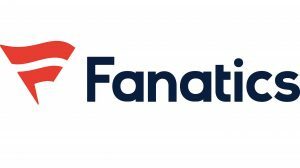 Germany’s DFB GmbH is realigning its merchandising and is working with Fanatics, the world’s leading sports merchandising company, starting in January 2019. The cooperation covers the entire vertical business model, i.e. design and production of fan apparel and products, accessories, souvenirs and memorabilia as well as their worldwide distribution and holistic distribution via all online and offline channels. As part of the collaboration Fanatics takes over the operation of the DFB fan shop including the associated online marketing. Similarly, the company covers the merchandise sale in the stadium at the home games of the national team. Fanatics is the world’s leading provider of licensed sporting goods and merchandise. In the US, the company is an exclusive merchandising partner for the NFL, NBA, NHL and MLB. Well-known clubs such as Real Madrid, Manchester United and Paris St. Germain are already part of the partner portfolio in Europe. Since this year Fanatics is also active in Germany. Previous Jamshedpur FC names prohibited items ahead of first ISL-5 home match! Next South United FC appoint Spaniard Miquel Llado as head coach for Bangalore Super Division!